Joe Gregory's most popular sculpture course, weave your own Hare, Sitting, Leaping, it's up to you. Learn simple sculpture techniques to create a unique sculpture that has wonderful movement and form. This workshop will be held at The Quilt Cabin Studio - Hebden Bridge. 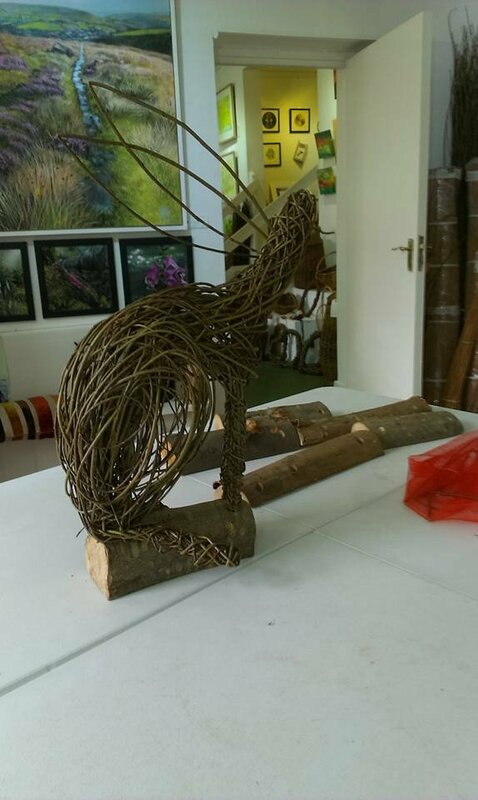 Instructor Bio: Joevanka Gregory is an artist and willow sculptor based in Todmorden, on the Lancashire, Yorkshire border in the North West England. About her work she says "I've been working with willow for about 12 years, initially as something physical and creative to help me to recover from a long illness. I quickly became quite obsessed, a wonderful natural material to work with, always forgiving and very strong. I love the contrast of sculpture to basketry, from free form to rigid patterns and back again. I look to the future and the possibilities are endless........"